All children lose their baby teeth eventually. But not the experience doesn’t have to be a scary one. 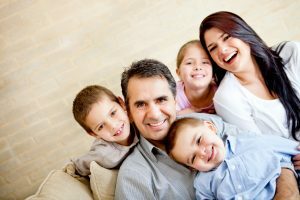 Instead, when parents find ways to celebrate the loss of their child’s baby teeth, it can transform the experience from a negative into a positive one that both can cherish for the rest of their lives. One of the most common and popular ways to ease the anxiety of a child’s baby teeth loss is to introduce the concept of the tooth fairy. Like Santa Claus and the Easter Bunny, the tooth fairy is a magical being that helps the child cope in a positive way with what is happening in their world. Whenever a child loses a baby tooth, they can put it into a sealed envelope and leave it under their pillow when they go to bed. When they wake up, they can be surprised by opening the envelope to find the tooth has been replaced with a small amount of money they can spend on something just for themselves, such as a small toy or something sweet to eat. Another way to celebrate a child’s tooth loss is to document it by taking a picture whenever they lose a tooth. Snapping a picture of the new gap in the child’s teeth then dating and saving the photo in an album can create wonderful memories that can be shared for years to come. Snap the photo using the camera on your smartphone or go “old school” by taking a Polaroid picture and saving it in a scrapbook. Eventually, all of your child’s baby teeth will be replaced with adult teeth, usually by the time they reach pre-adolescence. Celebrate this special time by documenting it and rewarding your child with a visit from the tooth fairy to ease their anxiousness and transform this natural part of aging into something magical and memorable.